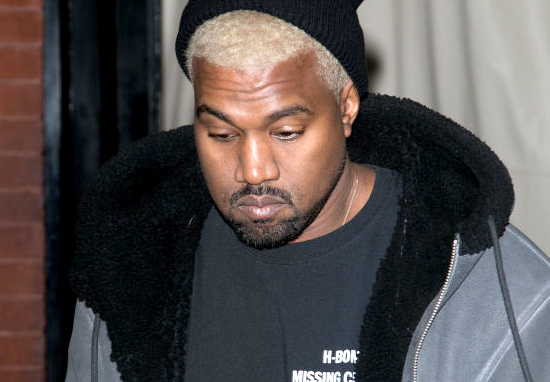 Kanye West reportedly has a net worth of $180 million thanks to his music and fashion empire, but if internet reaction is anything to go by his latest Yeezy Slides are a total misstep. Kanye’s shoe announcements have become a huge point of interest for sneaker-heads and fashion aficionados across the globe. His Yeezys have taken the world by storm, their distinctive look, and distinctive price tag, making them a must own. Kayne’s millions of followers online allow him to generate crazy amounts of hype and PR for every new shoe. The tweet revealed a first look at what is believed to be a prototype of the new Yeezy Slides. A sort of single piece open toe sandal with a chunky sole that looks to be made of some sort of rubber. Literally hundreds of people were sticking it to Kayne for reinventing the most controversial piece of footwear in living memory – the Croc. Popular with people who value comfort over style, Crocs have a well earned reputation for being somewhat unfashionable. Kanye has done more to revolutionise trainers in the last five years than arguably anyone else, so him taking a Croc like approach with the Yeezy Slides is somewhat surprising. However, anyone paying attention to Kanye’s trends with the Yeezy should have seen this coming. He’s been going increasingly ‘anti-fashion’ (which is ironically the most fashionable thing you can do) in recent releases. In a similar vein to the Yeezy 500 these take on the ‘Dad Shoe’ market. Which is where people pay insane amounts of money for shoes that look like the weird off-brand trainers your dad would have bought down the market for ‘doing the gardening’ in 2003. It’s sort of deliberately unfashionable in an ironic way that makes it hyper-fashionable. The theory being that you have to really know what you’re doing to deliberately wear something so goddamn ugly. At this point the only difference between fashionable and unfashionable is intention and confidence. Which is kind of liberating, you can wear whatever you want and dress like a total prick, but only if that is ‘what you were going for’. You have to be careful though because, just like when Kanye was absolutely slated for his neck tattoo design, he usually ends up having the last laugh. All this moaning and Croc jokes aside, obviously you just know the Yeezy Slides will sell like absolute crazy, then sell again for 4x the price on eBay. Because Kanye, but also Kim Kardashian and that whole clan have the power to make anything cool and desirable. It truly is a bizarre moment in the history of footwear where loads of designers are trying to outdo each other to create increasingly expensive and increasingly ugly shoes. The way that fashion works though means that only the most iconic shoes will raise to ‘god-level’ of the Air Max 87 and hopefully in five years we won’t remember any of these deliberately disgusting creations. Of course, it’s always possible that I am hopelessly out of touch and deeply unfashionable.